Sale Sharks managed to open their account in the ongoing season of the Gallagher Premiership after they edged out Worcester Warriors 21-15 in the second round at AJ Bell Stadium on Sunday. Sale Sharks now have four points and are positioned ninth in the table while Worcester Warriors are at 11th after losing both their games in the season. The Warriors though show spirited fightback in the second half after trailing by 18 points at the end of the break but to their disappointment it wasn't quite enough for them as they ended up with their second losing bonus point in two games. An off-side to Francois Venter allowed Sale Sharks to get off the mark in the 7th minute with a penalty goal from Aj MacGinty and the lead became 8-0 when Josh Beaumont crossed over at the end of the first quarter but the fly-half missed out on the conversion. 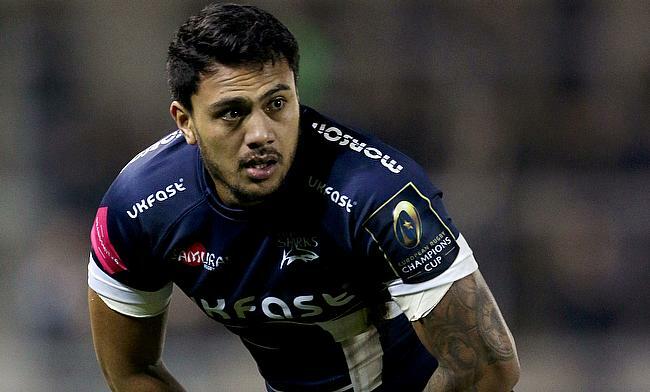 Things went from bad to worse for the visitors as Sale Sharks scored their second try through Denny Solomona in the 33rd minute and MacGinty kicked a penalty goal and a conversion on either side to make it 18-0 at the end of the first half. Worcester's response came at the start of the second half when Bryce Heem touched down and Duncan Weir kicked a conversion and a penalty to reduce the gap to eight points but a third penalty kick from MacGinty further stretched Sale's lead to 11 points as the third quarter was coming to an end. Chris Pennell with a 61st minute unconverted try raised Worcester's hope but in the end they fell short of a victory by seven points.